​A home is probably the largest purchase you will ever make, so it is important to understand the condition of your investment. When buying a home, you should always have a professional home inspection performed. You need to know exactly what you are getting. The professional home inspection will reveal any hidden problems with the home, so that they may be addressed before you close the deal. Ultimately, making your buying decision much easier and helping you to be more confident. Contact Bull Mtn Home Inspections to schedule your next Pre-Purchase Home Inspection. Home inspections aren’t just for home buyers. Home sellers also gain peace of mind by investing in a thorough certified home inspection prior to putting a house up for sale. The last-minute discovery of problems by a prospective buyer can lead to time delays, added expenses and can even derail a deal altogether. Your best solution as a home seller is to have a thorough certified inspection done prior to putting the house on the market. This allows you to take care of issues with the building before they become a problem in negotiating a deal. Leave it to Bull Mtn Home Inspections for your next Pre-Sale Home Inspection. Even the most vigilant homeowner can, from time to time, miss small problems or forget about performing routine home repairs and seasonal maintenance. That’s why an Home Maintenance Inspection will help you keep your home in the best condition and prevent it from suffering serious, long-term and expensive damage from minor issues that could be addressed now. As time goes on, parts of your house will wear out, break down, deteriorate, leak, or simply stop working. Leave it to Bull Mtn Home Inspections to perform your next Home Maintenance Inspection. ​According to the Surgeon General, Radon is the second leading cause of lung cancer death behind smoking. It is estimated that 20,000 people pass away from Radon related lung cancer per year. 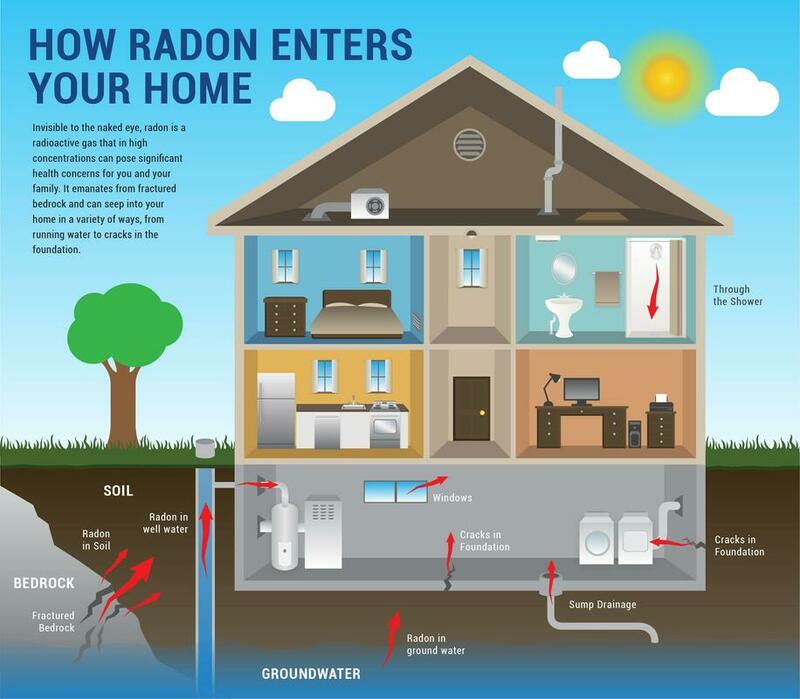 Testing for Radon gas is recommended for all real estate transactions by the EPA. Testing for Radon is easy, mitigation is easy, highly effective, and the cost for mitigation is affordable. There is no reason to let Radon spoil a real estate transaction. Radon testing is easy. For real estate transactions, Radon tests last a minimum of 48 hours, and closed house conditions are maintained for the 12 hours preceding, and for the 48 hours during the test. Closed house conditions mean that normal coming and going through doors is fine, running HVAC systems like furnaces and air conditioners is fine. However, doors and windows must not be left open for extended periods, and whole house ventilation fans must not be ran.